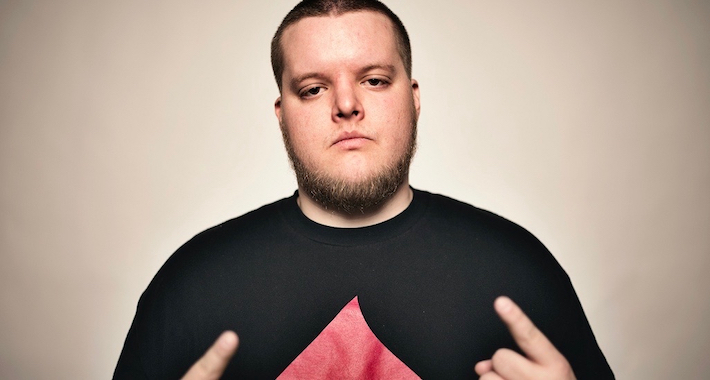 The St. Louis-based JPhelpz, known for his mech-influenced robo-bass, reemerges on Firepower Records with an all-new, heavy-hitting EP. If you’re familiar with this dude’s floor-shaking beats, then you know the aptly titled LEVELED EP is one to buy on sight! While everything JPhelpz touches is fire, this EP showcases some of the producer’s best work to date and is definitely not for the faint of heart. To give you a proper taste of what you’re in for we’ve locked in this exclusive premiere of “WOAH,” the penultimate track on the EP. Showcasing a simple yet chest-rattling bottom end that will shake you to your core, JPhelpz draws us in and gets your attention before cutting straight into the carefully arranged bass drop designed to get you to scream out one word: WHOAH! It’s a proper minimalistic beatdown that’s sure to have all the seasoned bass heads out there to rocking out proper with elbows side to side. The full EP is due February 24, so consider yourself warned and preorder your copy of the LEVELED EP here!